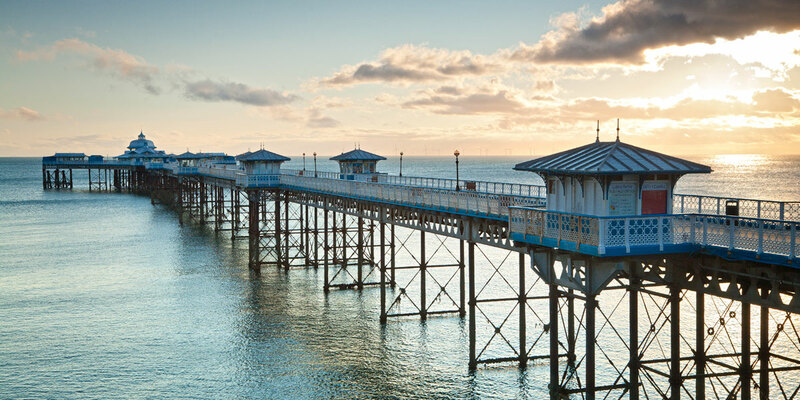 Famed for its Victorian style and Edwardian elegance, there are so many reasons why people keep returning to Wales' premier seaside resort of Llandudno. Llandudno has two beautiful award winning beaches which means you're clean and safe whatever you choose to do at the seaside. And it's quite a choice. On the North Shore (the one with the pier) there's a glorious promenade with classic victorian frontage. Even if you venture no further you'll still find enough here to fill your days. There's fair ground rides and stalls on the Grade II listed Victorian pier, with a vintage bus leaving for a tour of the Marine Drive when you're done. Something more dramatic? Try some theatre or a show at Venue Cymru or maybe the Punch and Judy Show. Throw in a bandstand, donkey rides, a spot of fishing and miles of sand and you've got everything a seaside holiday is meant to have. 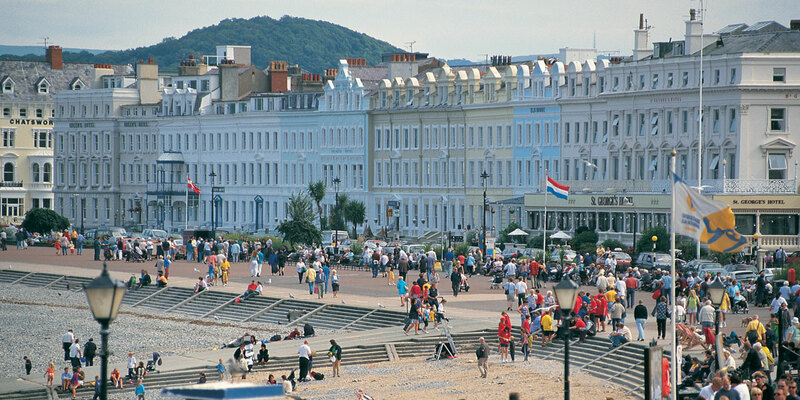 But if your tastes have matured somewhat, Llandudno still has its unique charms. Explore the Bronze Age copper mine on the Great Orme, take a boat trip, spend time shopping down Mostyn Street or sample some of Wales' best food and drink in our fabulous restaurants and pubs. Want to discover more about things to do, events, food and activities, please see the Visit Llandudno website. Llandudno has two wonderful beaches, the North Shore and the quiet, sand-duned West Shore. Bodnant Gardens: eighty acres of magnificent garden in the beautiful Conwy Valley. Our beautiful promenade complements Llandudno's North Shore beach which is a great place for the family to relax with its dedicated children’s play area and sandy beach. Enjoy spectacular panoramic views, lush green landscapes and coastal wildlife on short walks in the area. The magnificent 1500-seat North Wales Theatre on Central Promenade has quickly established itself as the leading theatre in the area and offer a variety of top quality entertainment throughout the year. During the summer, Llandudno will host its annual Festival of Music and Arts which comprises of a host of performance and musical entertainment: lunchtime and evening concerts interspersed with generous portions of morning and afternoon street entertainment. Llandudno’s fabulous coastline has everything you need to experience a bit of action. Play golf on some of Britain's finest courses. Try rock climbing, jet-skiing or kite-surfing. Snowdonia National Park is on our doorstep with its rivers, mountains, lakes, forest mountain bike trails and woodland walks.Within walking distance of Sefton Court, Llandudno attracts adrenaline-seeking visitors from throughout the UK and abroad to use our dry ski slope and toboggan run. Zip World Snowdonia boasts the longest & fastest zip line in Europe. The nearest thing to flying! There is a fantastic selection of restaurants in the area, serving every cuisine around the world including Italian, Indian, Chinese, Thai and Mediterranean. There is also a wide range of eateries which offer traditional British cuisine, including some of the best fish & chips you will taste. Llandudno has a healthy mix of popular high street stores combined with independent businesses, where you can find a bargain or pick up something a bit different, all within walking distance of Sefton Court. 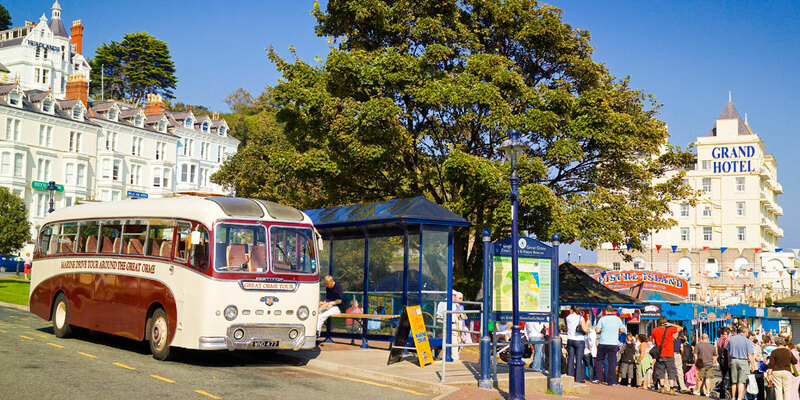 Llandudno has a rich and interesting heritage dating back to the Stone Age. On the headland of the Great Orme prepare to be amazed by a modern stone circle, Bronze Age copper mines, a burial chamber, a stone row and numerous Neolithic mining sites as well as the remains of a probable stone circle. Explore scenic bridleways and footpaths that have been used for hundreds of years. 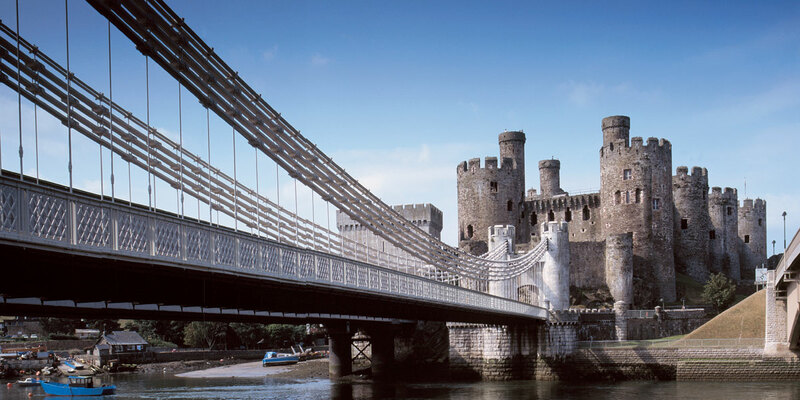 Enjoy visiting various local castles such as Conwy Castle with Suspension Bridge, a Medieval fortification in the World Heritage town of Conwy.